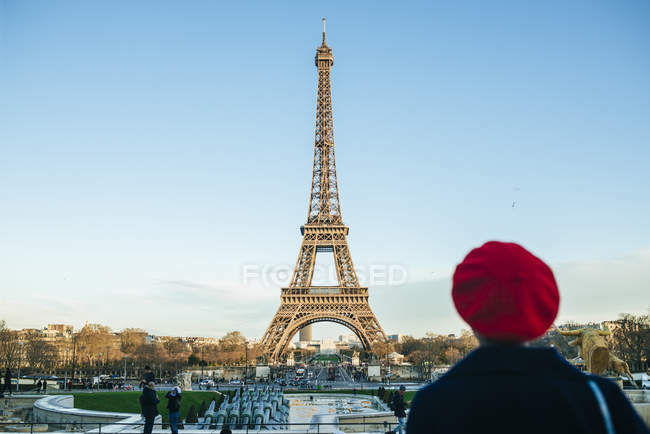 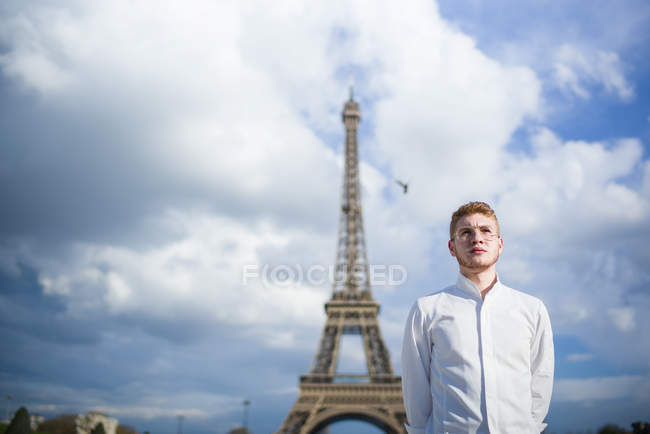 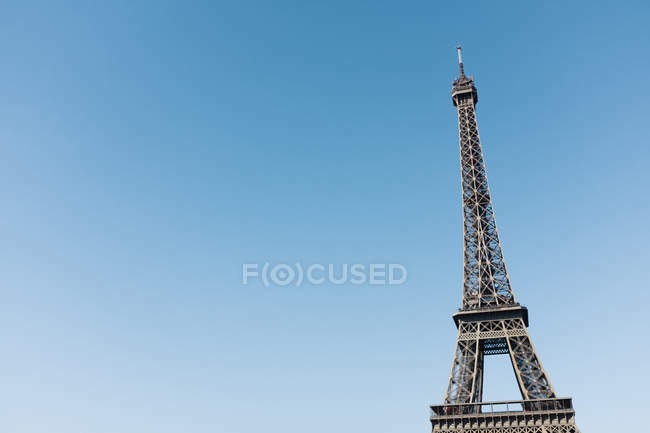 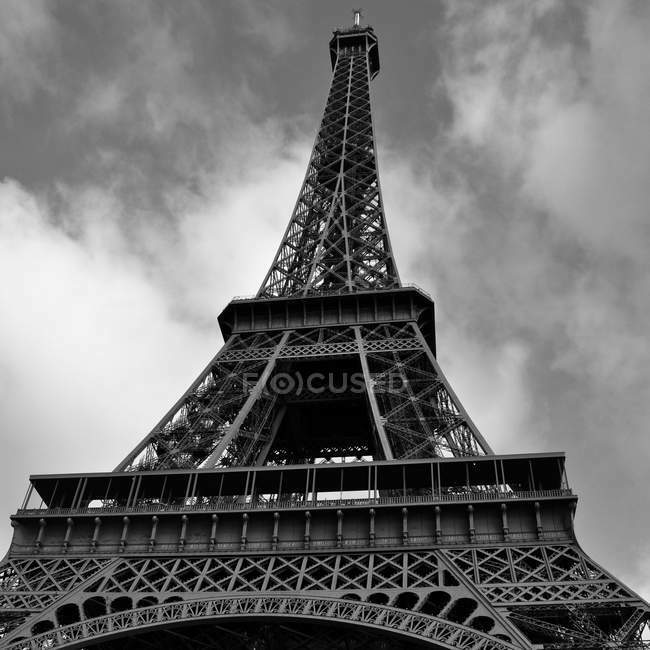 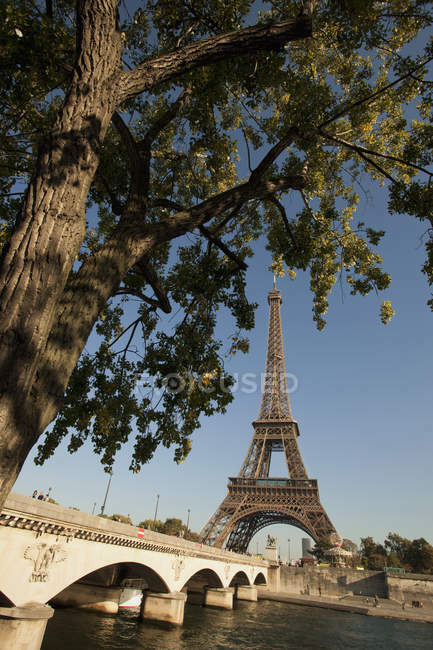 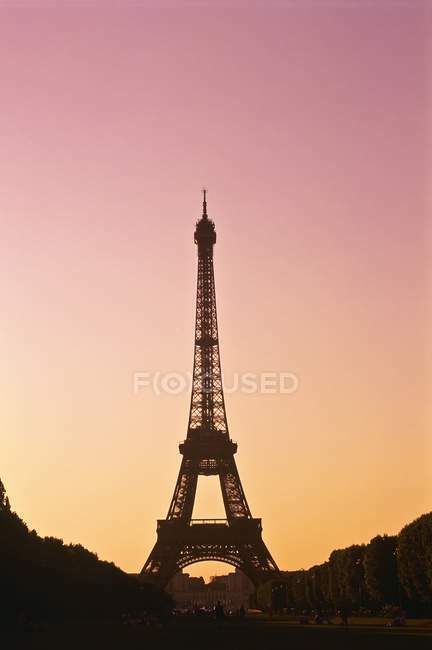 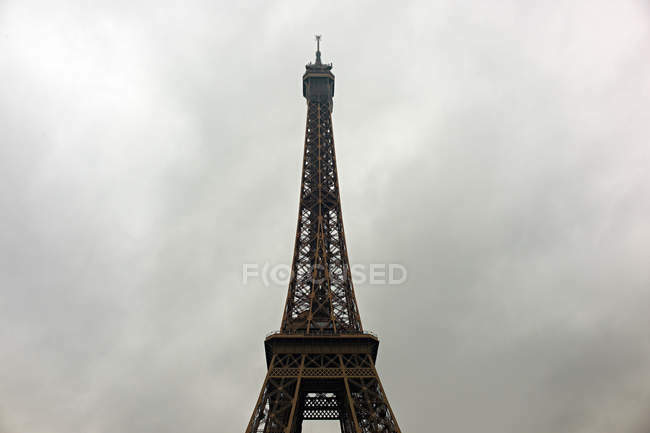 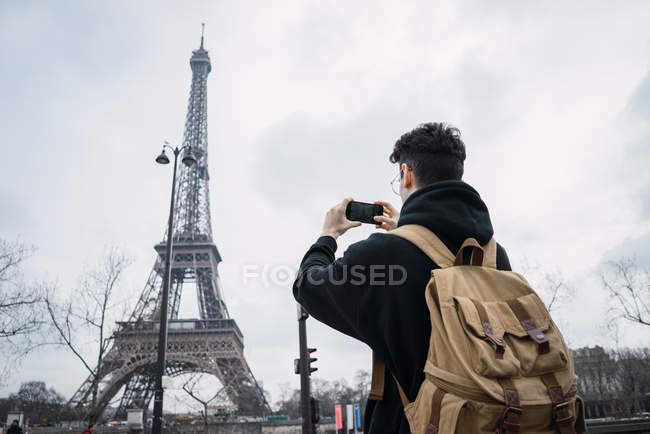 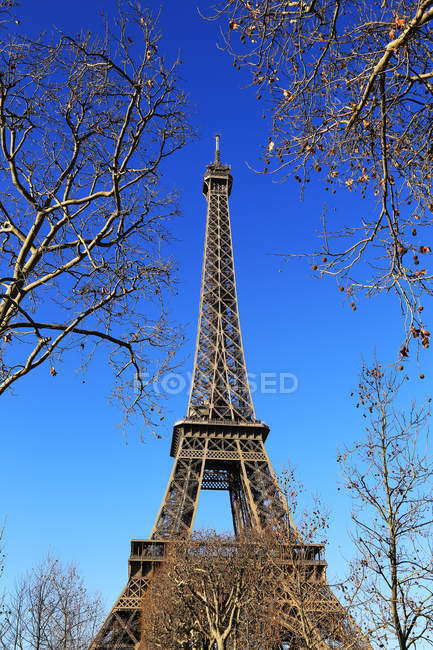 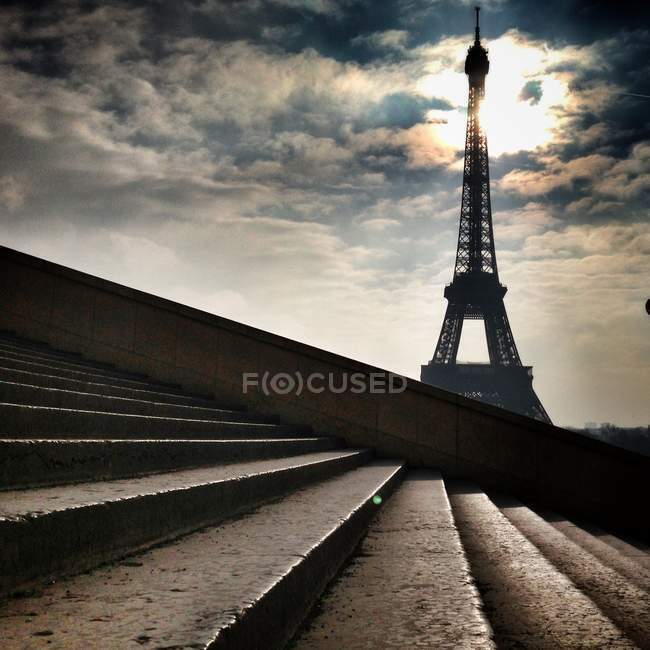 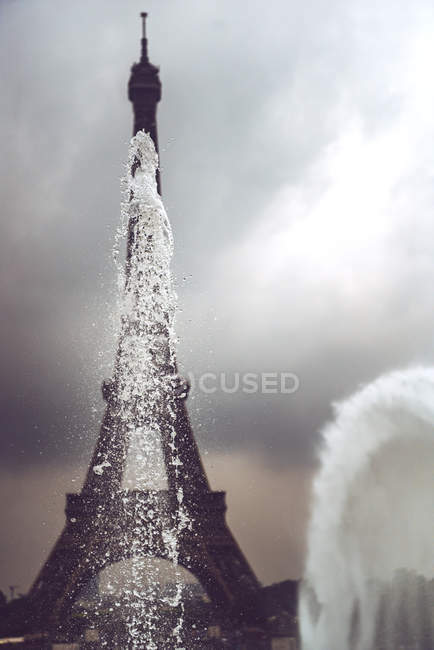 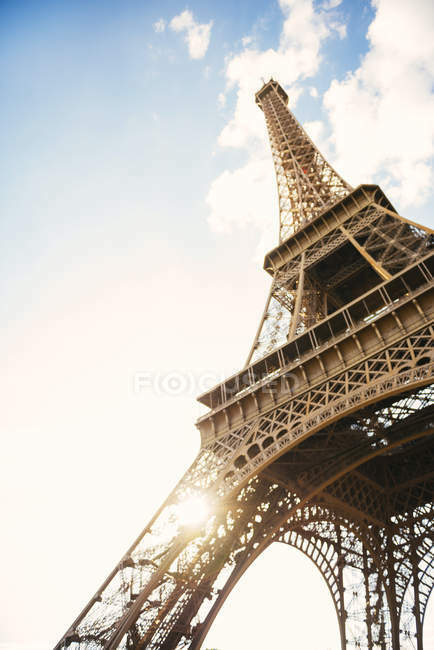 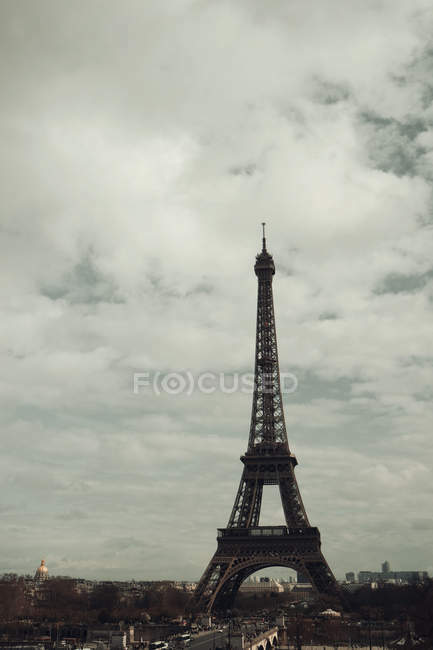 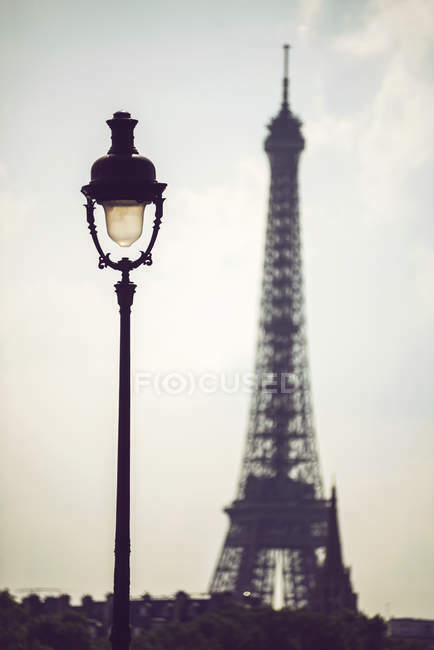 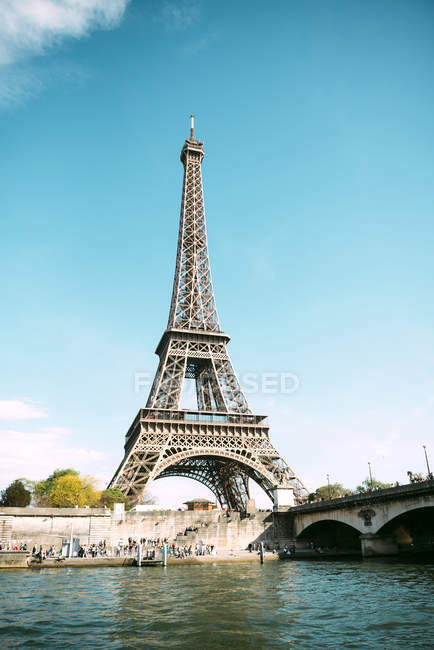 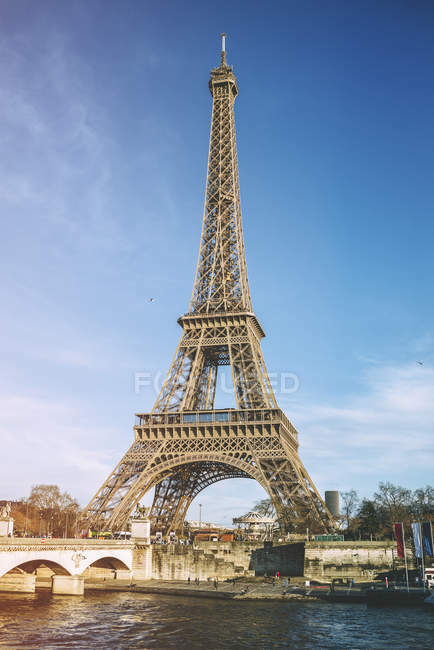 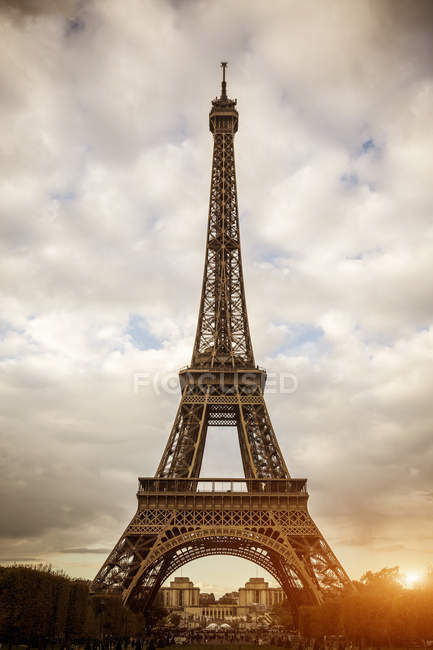 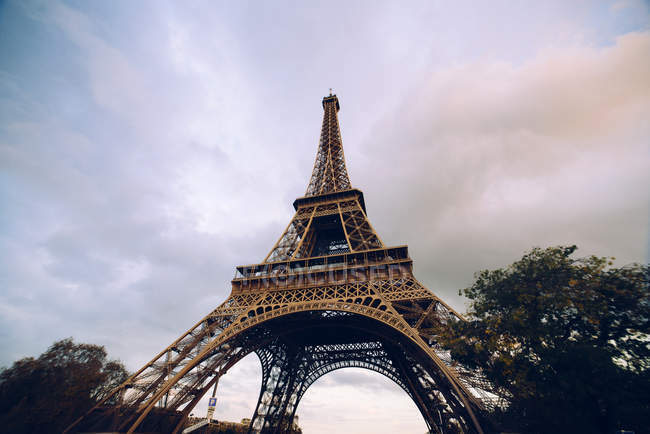 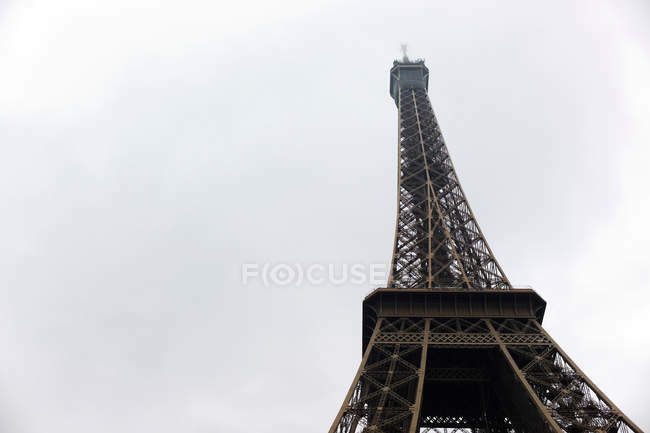 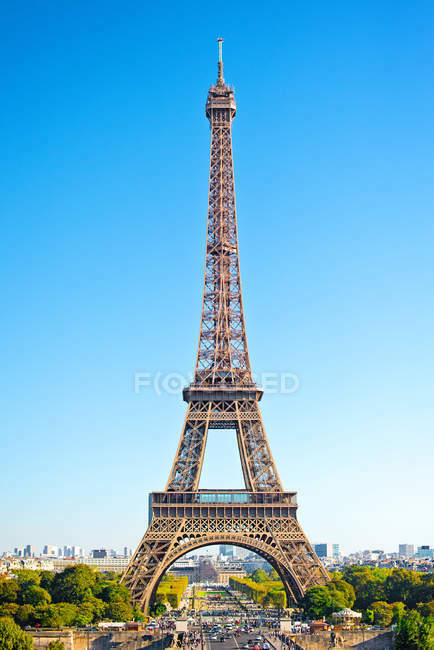 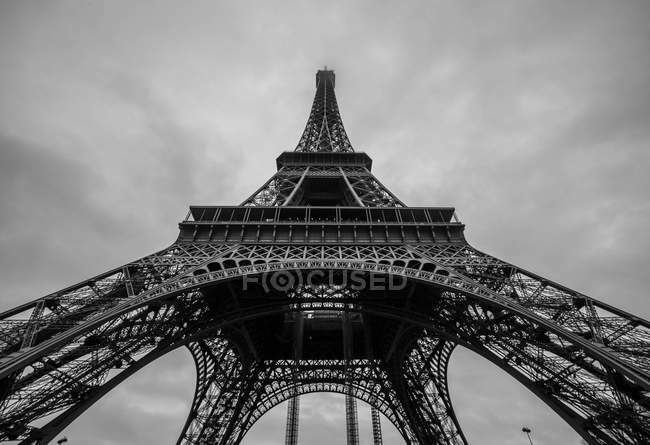 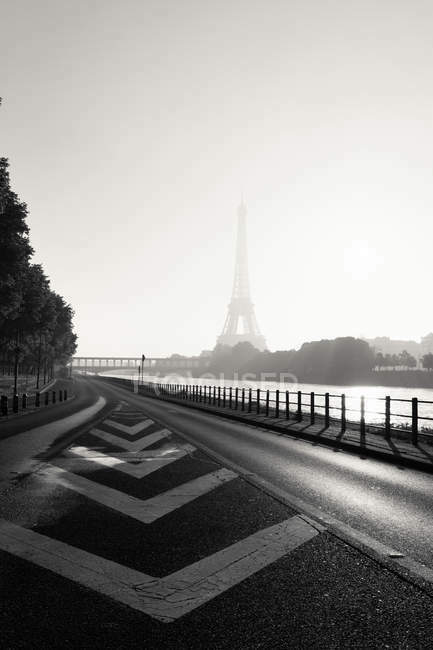 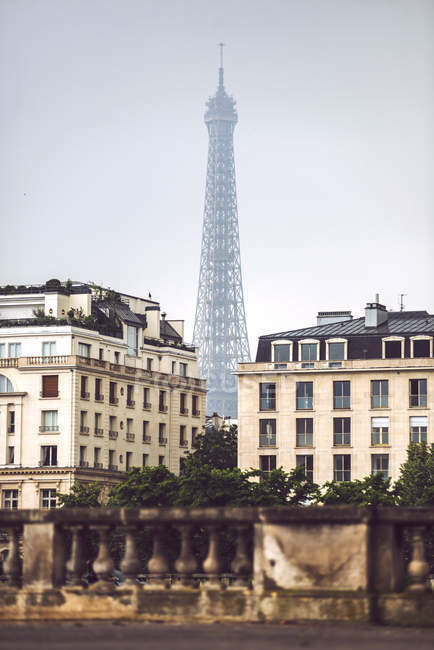 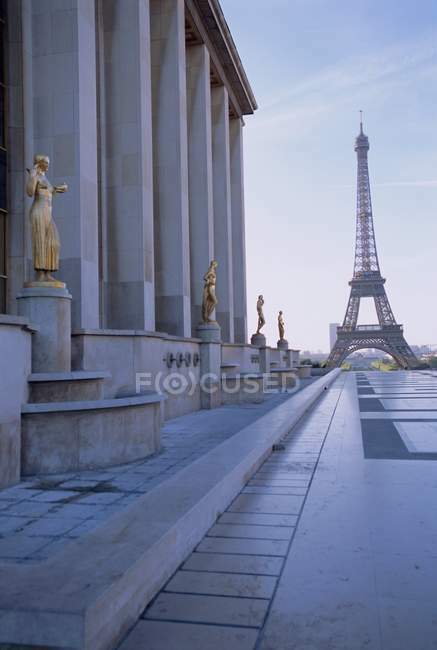 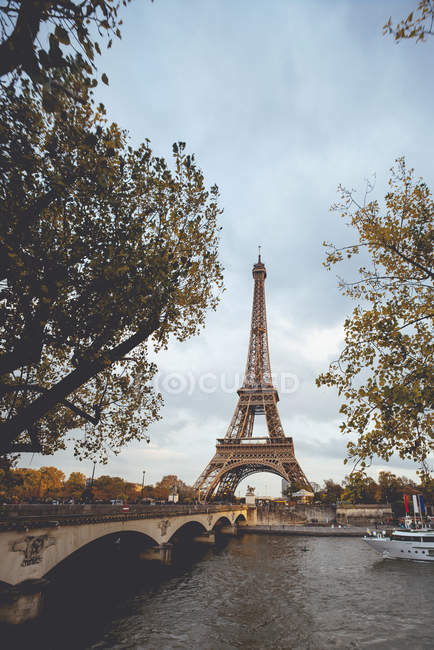 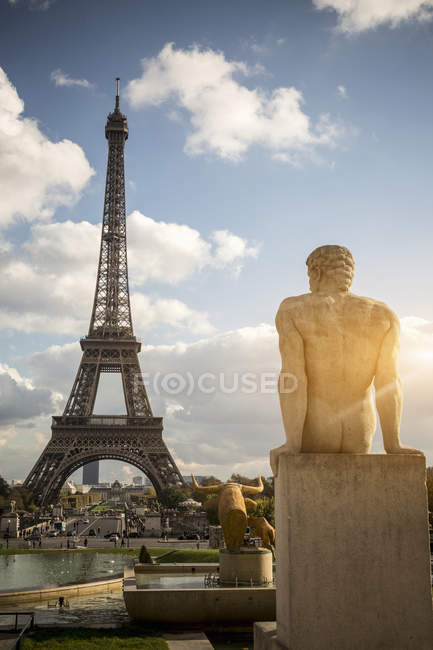 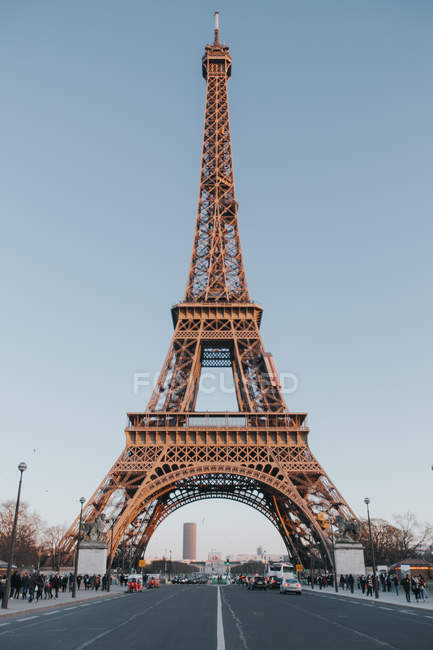 Back view of young man standing with phone and taking shots of Eiffel tower. 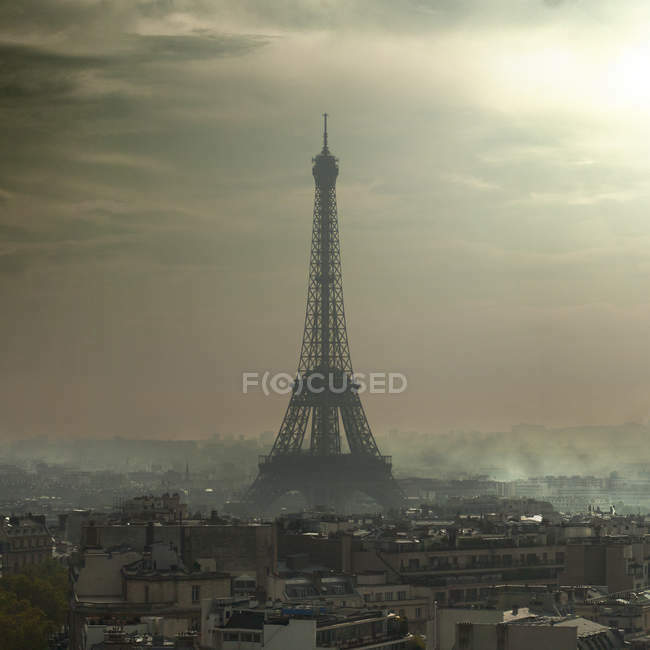 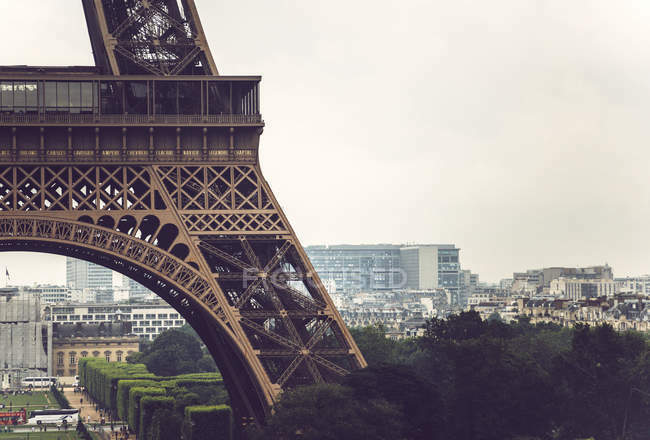 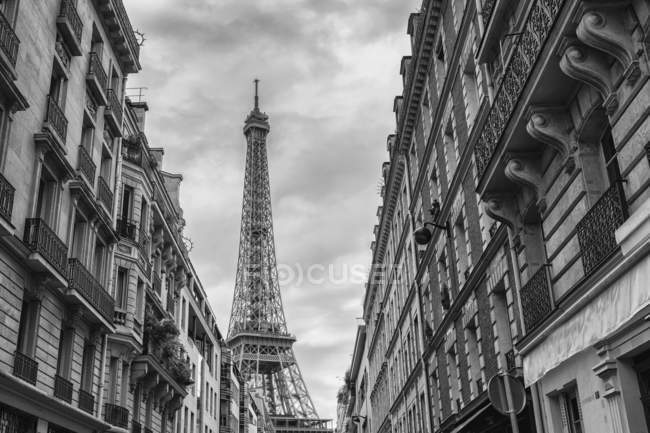 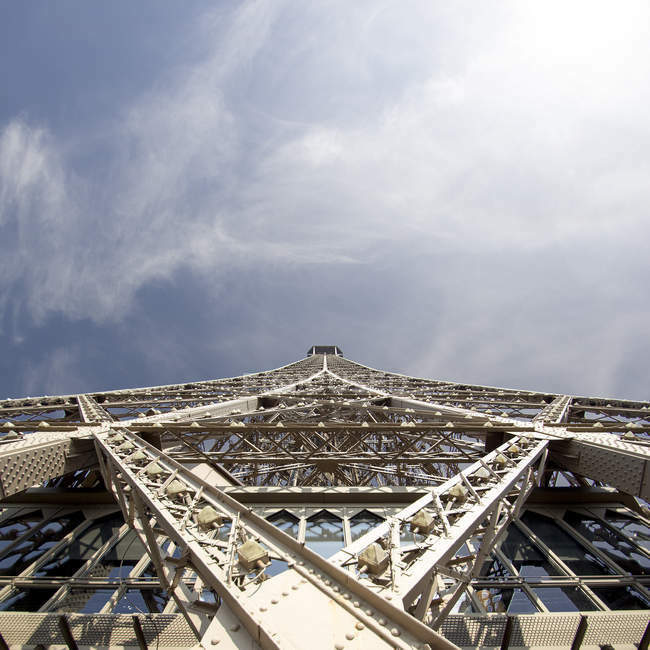 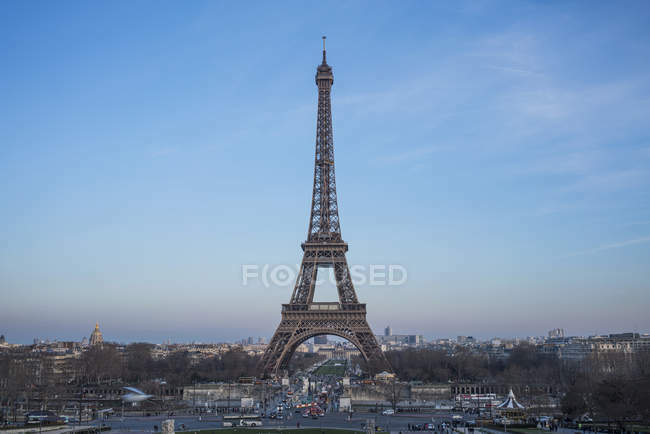 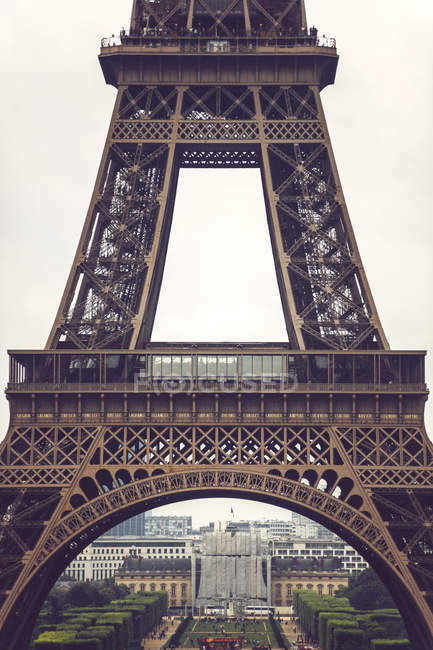 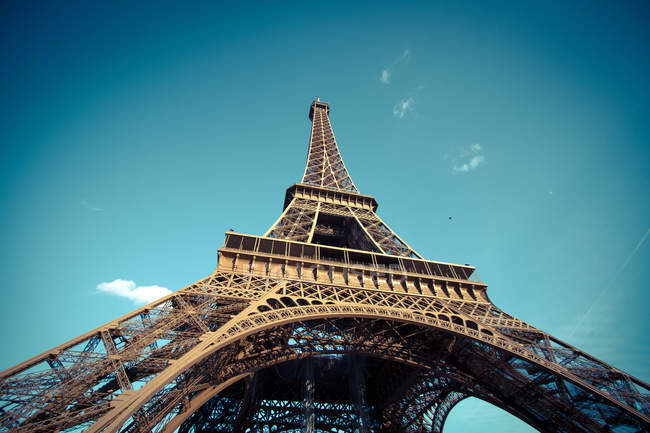 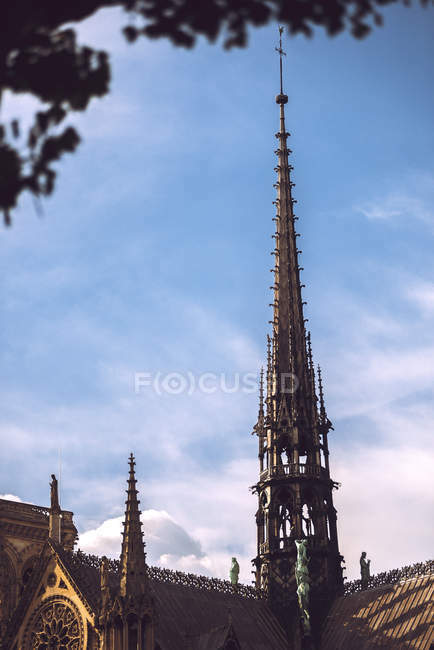 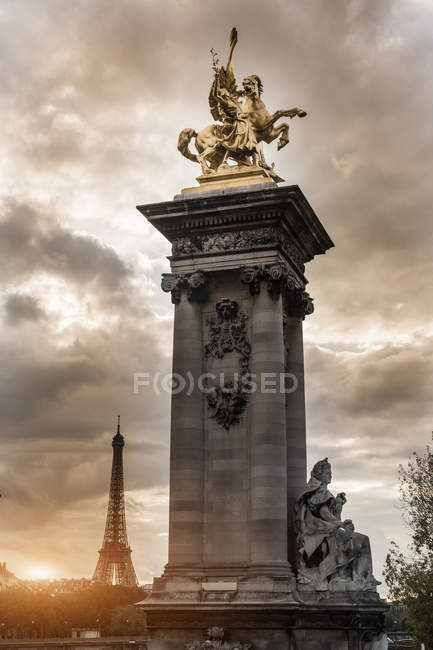 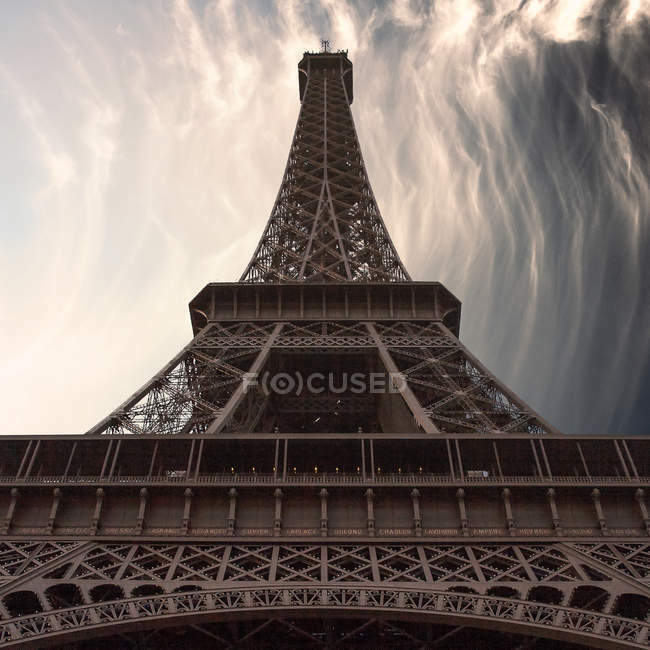 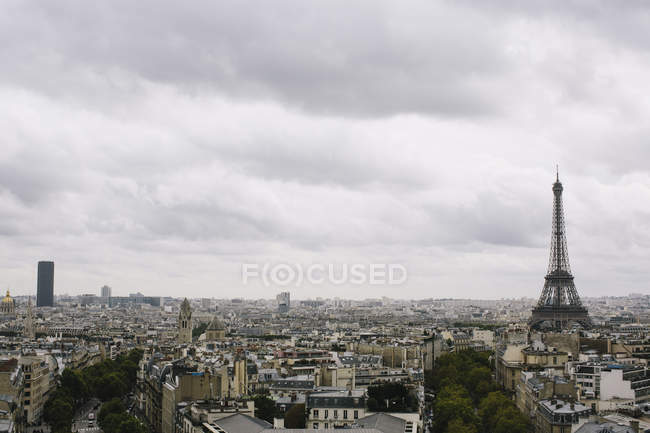 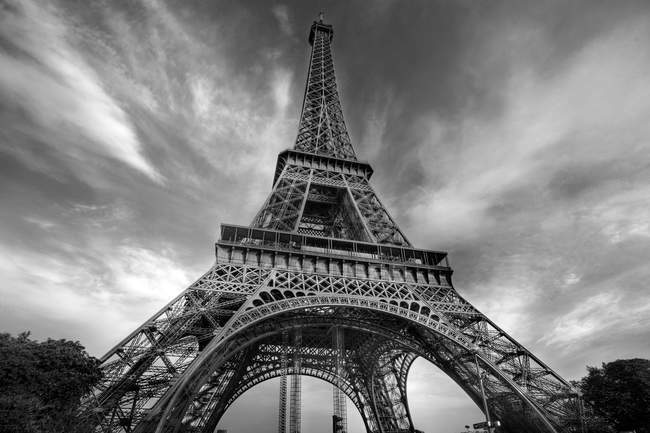 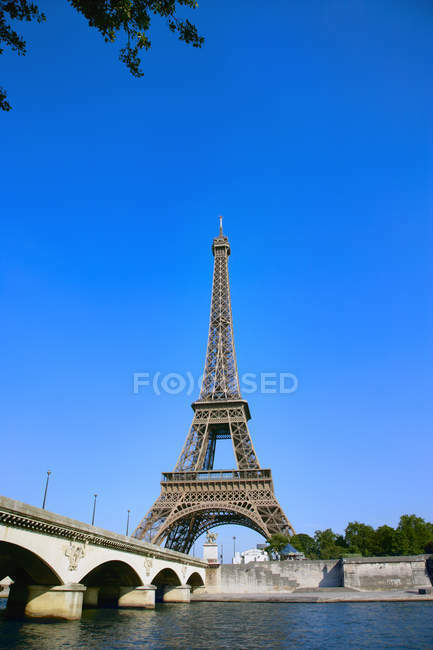 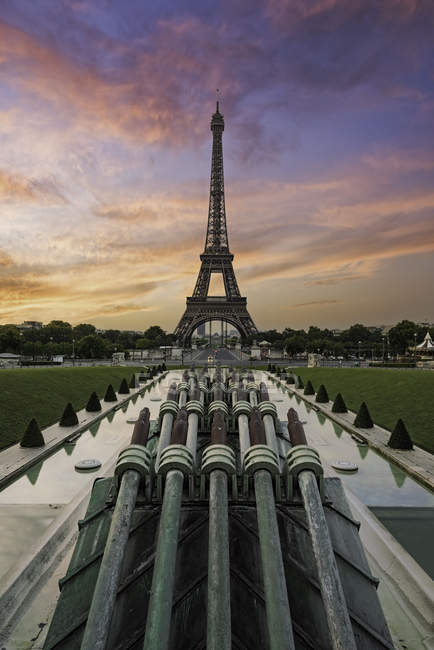 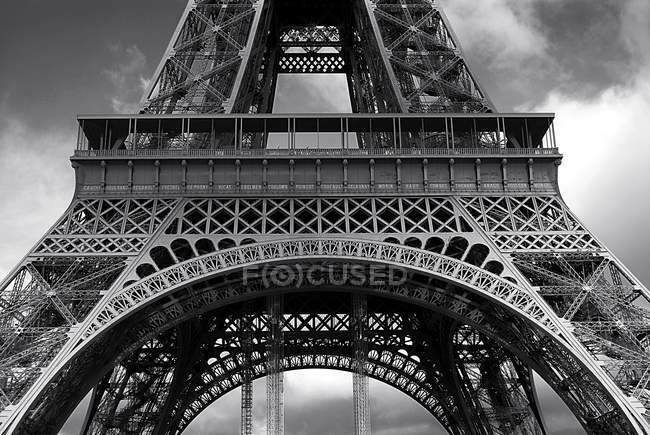 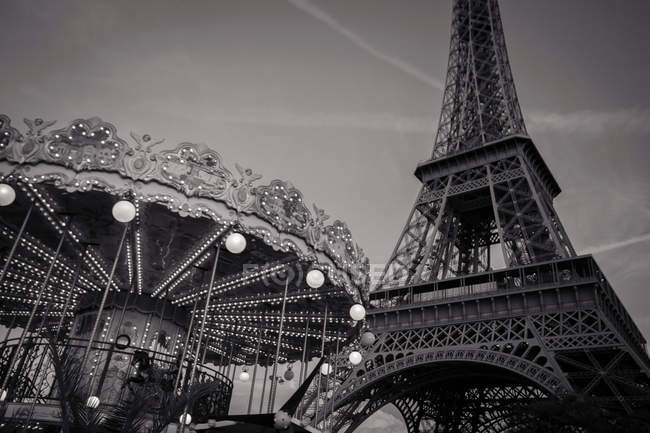 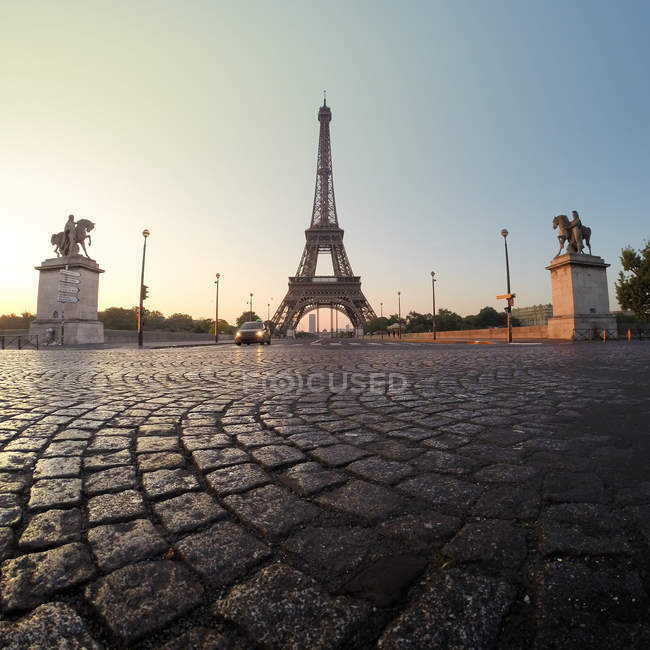 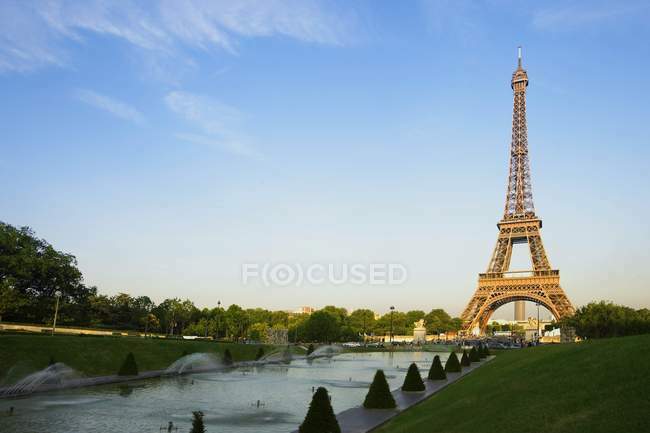 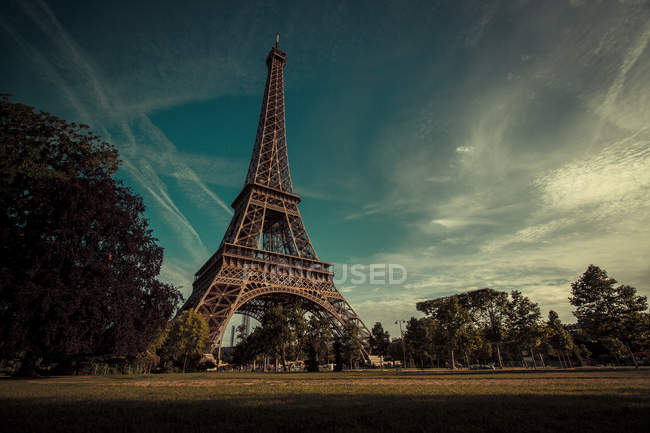 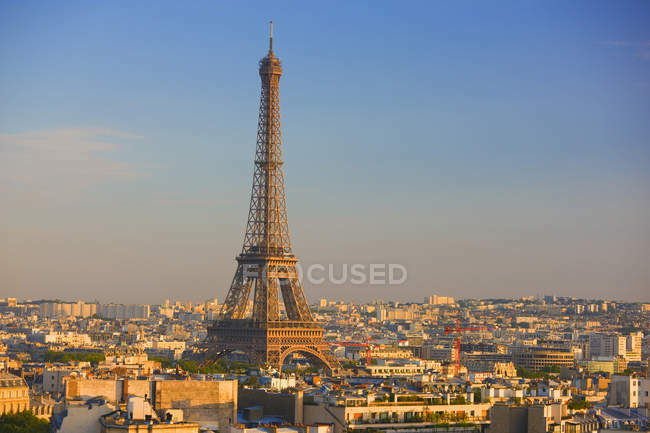 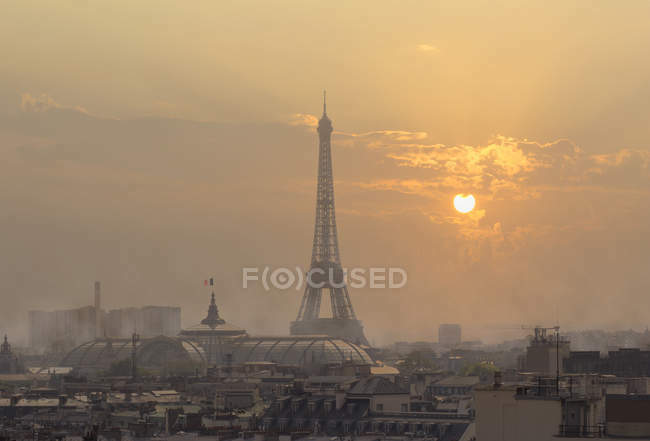 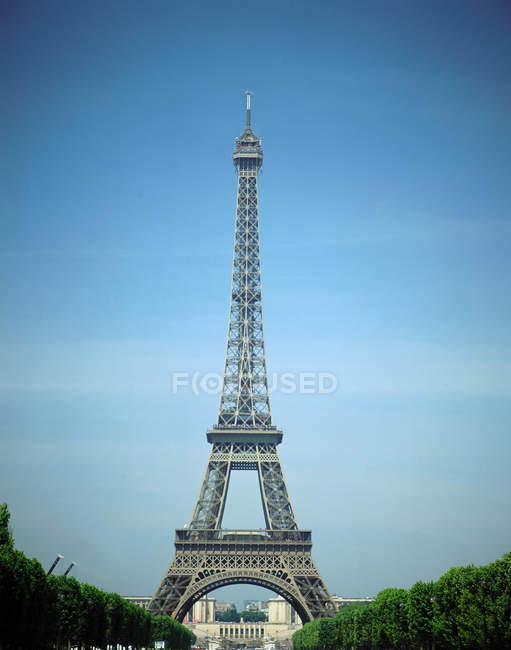 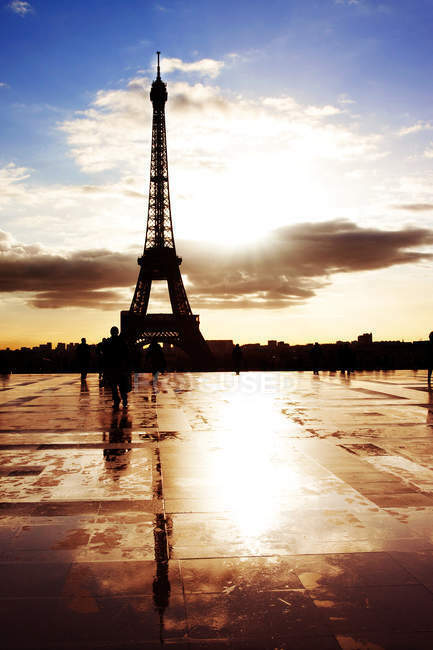 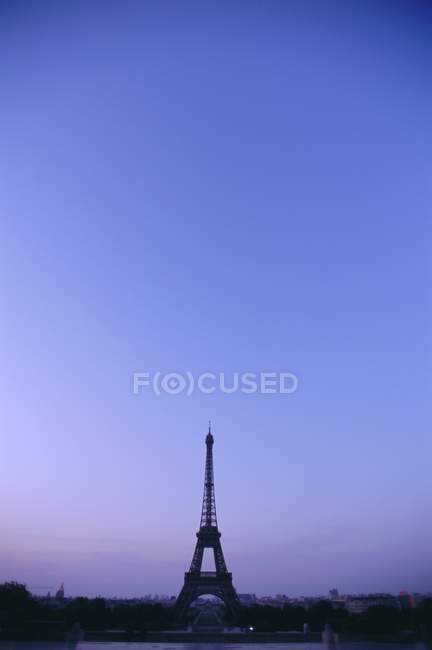 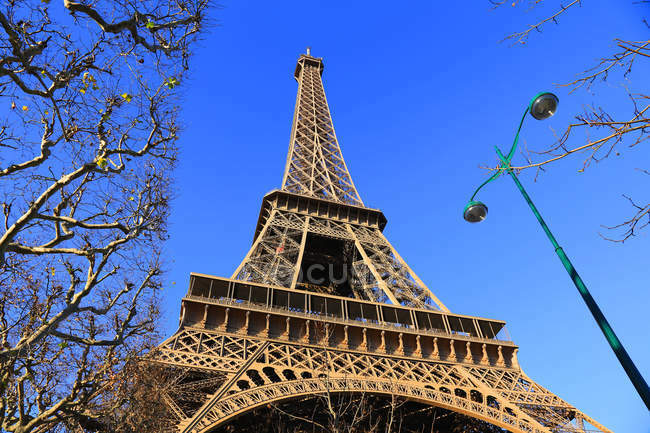 High angle view of Eiffel Tower and cityscape of Paris, France. 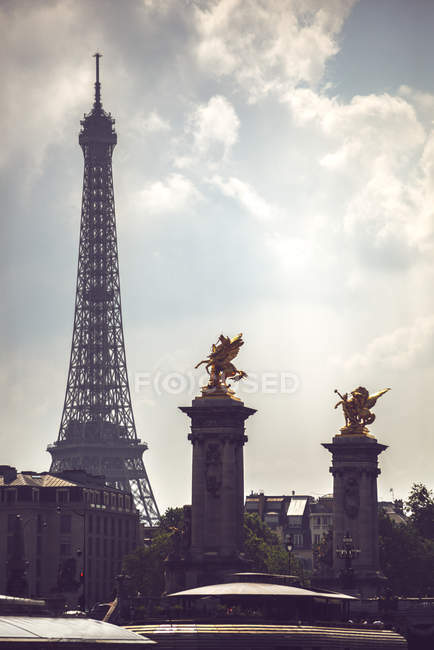 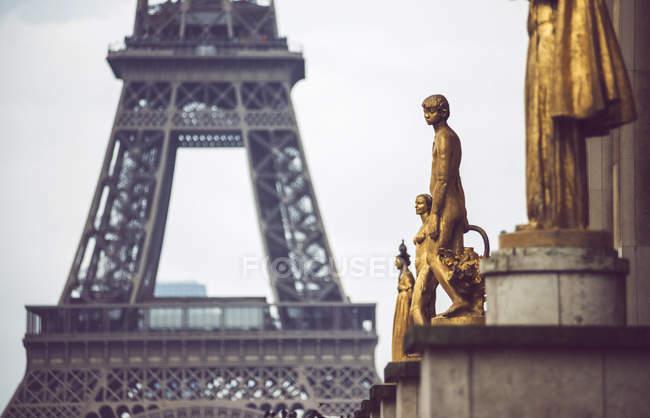 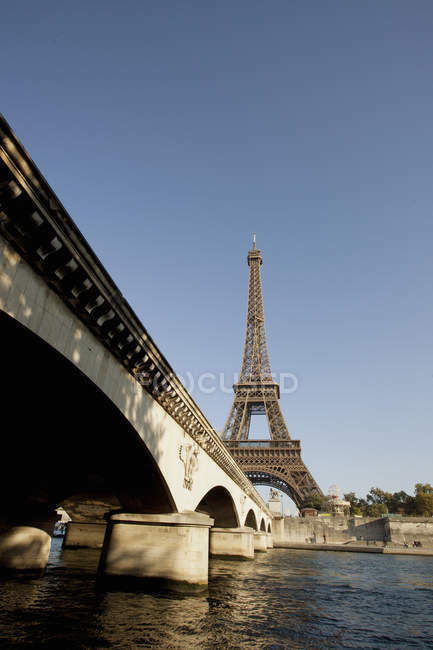 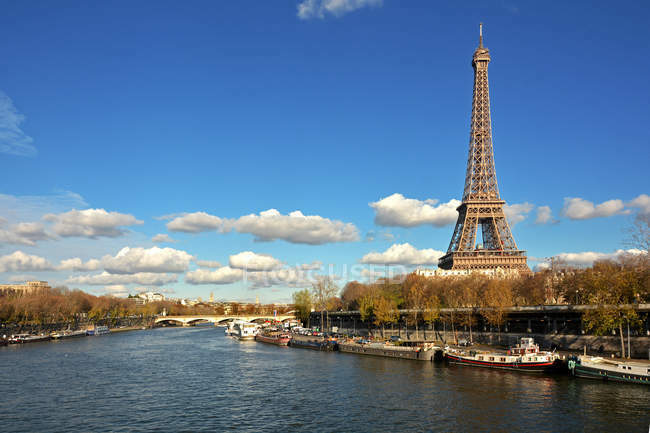 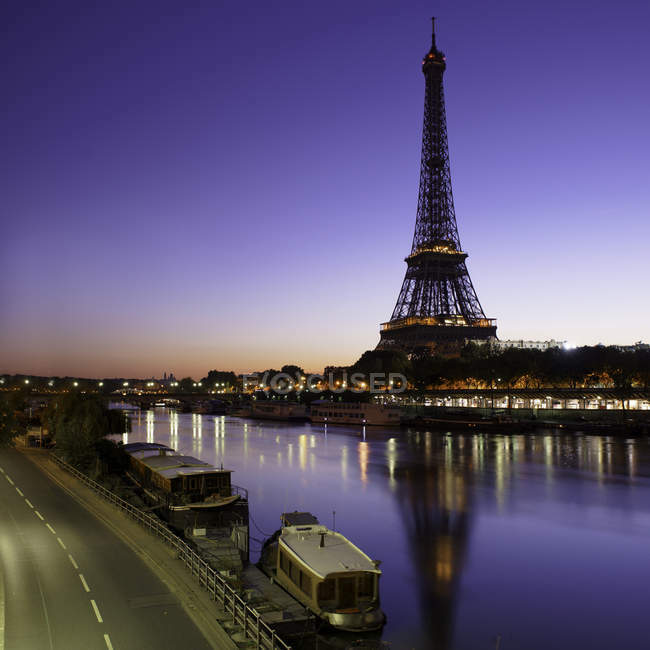 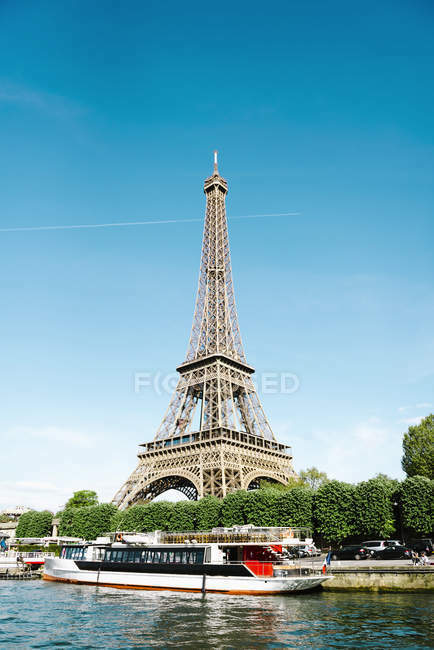 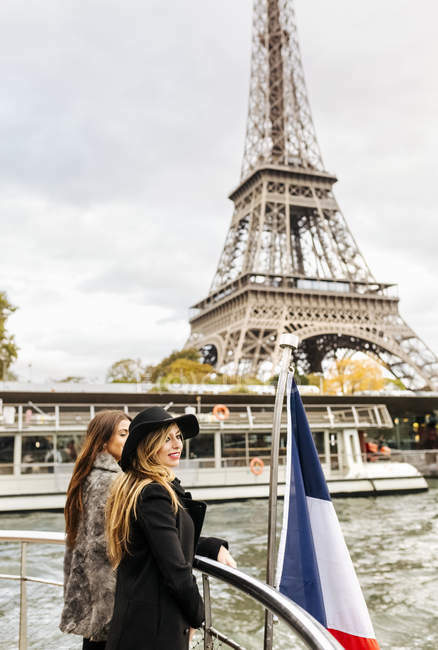 Paris, France, two female tourists taking a cruise on the Seine River with the Eiffel Tower in the background.